All Esco general purpose loader buckets come standard with a spill guard, bolt-on skid shoes, replaceable bolt-on edge, and are available with direct-pin or quick coupler connections. 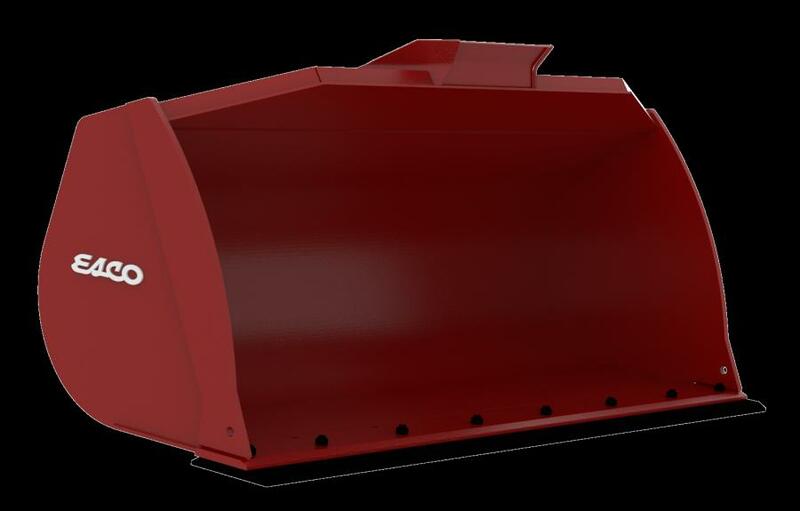 Esco now offers a competitive line of general purpose (GP) buckets for wheel loaders. The offering ranges from 2.0 to 9.0 cu. yd. (1.5 to 6.9 cu m) capacities for WL20 to WL80 class wheel loaders. The buckets feature curved side reinforcement plates to reduce spillage and AR400 wear protection in high wear areas. All Esco general purpose loader buckets come standard with a spill guard, bolt-on skid shoes, replaceable bolt-on edge, and are available with direct-pin or quick coupler connections. Esco GP buckets are precision manufactured with premium materials for long, reliable service, reducing maintenance requirements for greater site safety. The bucket was developed to provide more production with lower fuel consumption than conventional loader bucket designs.